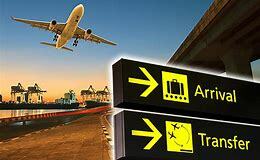 A local Airport-Transfers provider offering a quality service at a reasonable price. To book you can either telephone 07810 077766 between 9am and 9pm or fill out the form below. Please check that you have all the above information at hand when telephoning your booking. Once we have received your details, one of our drivers will get back to you asap (usually within 2 hrs) to confirm your booking. Whilst we do not take a booking fee/deposit we can charge a cancellation fee of 20% of your quote. This is to cover our loss of booking which could have been covered by alternative custom. We are individual private hire drivers who have pulled together to give you a fuller, more reliable airport transfer service. Why we are better working together? 1. Whilst working as a company with just one car restricts us but when we work together we become much more effective. As individuals we might be able to take customers one way but were booked up for your return journey and customers would try alternative companies that could provide transfers both ways but when we work together we CAN provide you with the full service you request. 2. If we hit a problem eg. delayed flights, traffic problems, breakdowns then we have more chance of a backup driver being available to take over the job. Whilst every effort is made to provide you with a full reliable and efficient service events can happen which may be out of our control eg. traffic, weather, flight delays. If you return to Leeds/Bradford airport we request you telephone your driver when you have your luggage and they will approach the carpark from a short distance away (this is because it can take a long time from you landing to entering the carpark which would run up extra carpark fees). Our drivers try to check all arrival times on the airport website but these times have been known to be incorrect or late updates(usually early morning arrivals). (Please accept our apologies if this means we are not on time). If you return to Manchester airport, our driver will usually be waiting for you when you enter the arrivals hall with your luggage. We usually wait 20-25 minutes after your arrival time before we enter the carpark. This is to save on carpark fees. (On some occasions there is a further delay for you getting through to the arrivals hall. Although this might not be your fault we regret to inform you that the increased carpark fees are passed on to you - the customer.